We believe that children deserve to be exposed to the circle of nature from the earliest of ages. That's why we've developed a an early years (early childhood) program, for the really little ones, up to age five. Through these workshops, children can learn about the beauty of seeds, growing food and sustainability by means of story sharing, socio-dramatic play and art. These sessions are also available to private groups such as mother’s groups. Explore how seeds become plants through story sharing and drama. We’ll learn what plants need to survive, plant a seed together and make some art inspired by what we’ve observed on the farm that day. Explore the role bugs have on a farm through story sharing and drama. We’ll go on a bug hunt and learn about creating habitat for our tiny farm helpers! Explore the buzzy world of bees through story sharing and drama. We’ll observe a native stingless bee colony and discover why pollinators play such an important role in farming! Choose from these sessions, or get in contact for a visit tailored to your outcomes. 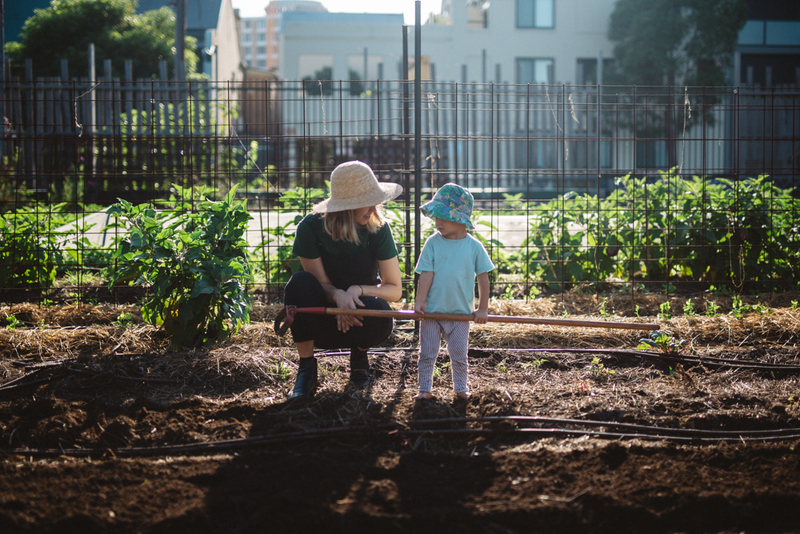 Pocket City Farms now offers a unique opportunity for education for schools and early childhood groups in Sydney and further afield to visit and learn on our working market garden in the middle of the city. We currently run workshop excursion programs for primary and secondary school students, as well as early childhood groups. (Tertiary are also available, currently by request.) For the full info on our excursion programs, head to the links for each stage. There, you'll find the program and stage outlines and information sheets. Classes available every day of the week, with times also flexible. Most workshops run for 1.5-2 hours, depending on desired duration and attention spans. Prices are $15, though tailored sessions may have additional costs. Workshops have a minimum of 10 students / $150 booking fee.